The book is a second and revised edition; the first edition was never published in a Dutch version. 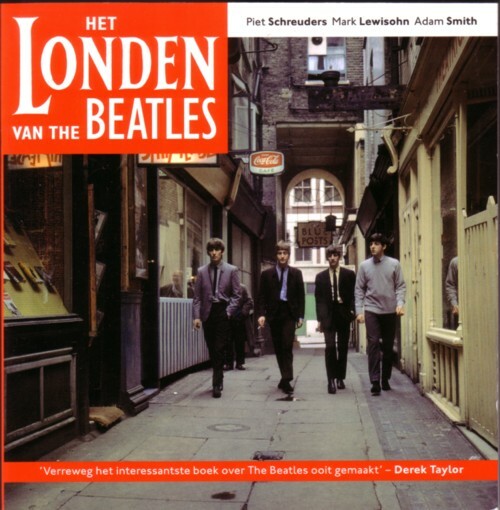 The authors are Piet Schreuders, Mark Lewisohn and Adam Smith. And of course Piet Schreuders also did the design. As you know, I am not what you call a fan of the music that the Beatles recorded, but I do love every fringe fact and fantasy about them. This book is completely ridiculous! 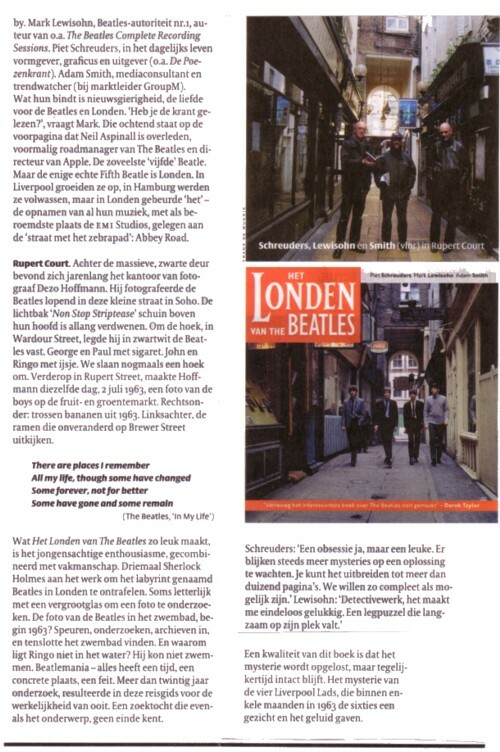 The authors have spend months, if not years, of their precious life to trace the exact location of every picture ever taken of the Beatles in London. As if people want to know such things! Of course, I want to know, but that is because I am a fan of Piet Schreuders, and because I love Fool’s Projects of any kind. But it is hard to imagine that there are more than a handful of people worldwide who want to read a book like this. 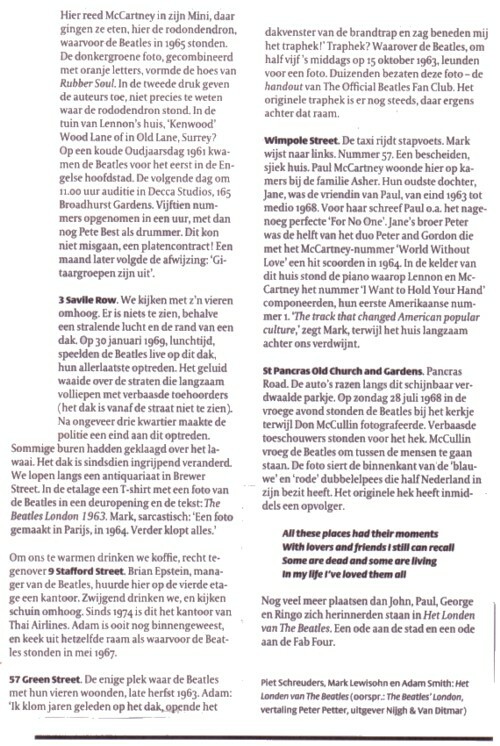 As long as I know Piet Schreuders, he has been writing about the places where the Beatles were photographed. Piet used to make handwritten, xeroxed magazines whenever he went abroad (I will put some of them up on this blog in the near future! 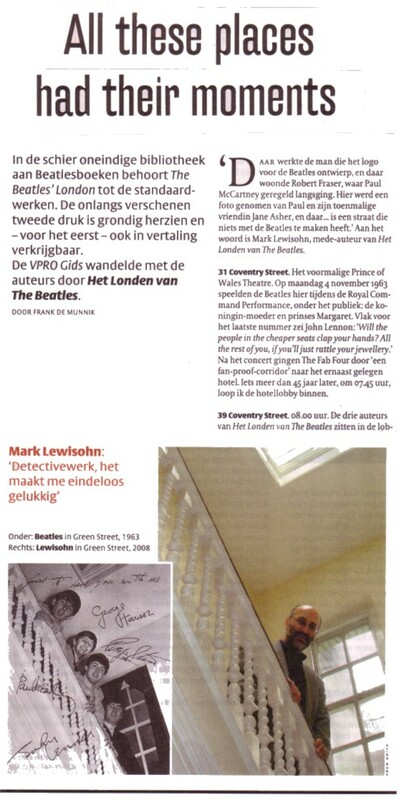 ), and he also published about this project in other publications. But I never thought it was a serious as it turns out to be now: 234 pages with ton loads of photo’s, maps and totally obscure paraphernalia. I read it from front to back, just to be sure that these guys are really crazy, but I would never advise this book to anybody, apart from a handful of friends to whom I will give it for their birthday, because they are just as crazy as this trio.